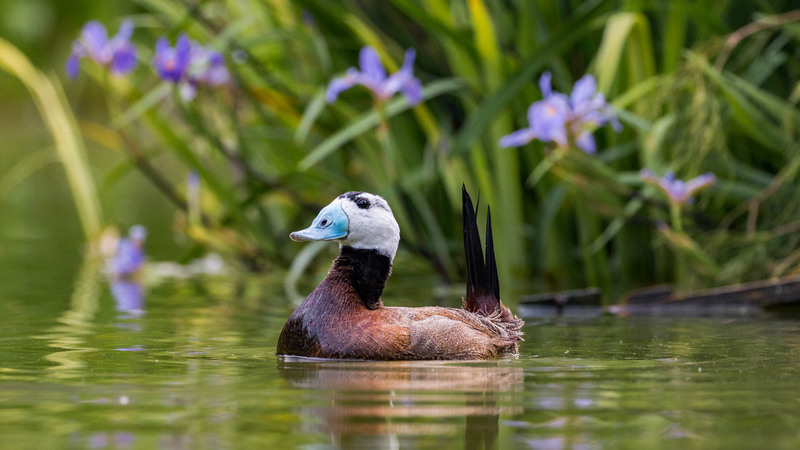 The IWWA was made aware of the Spanish white-headed duck problems and at the recommendation of Mike Lubbock (IWWA member) the Board of Directors approved an expenditure of $5,000 to support the preservation of this species habitat. Bill Makins (IWWA member) was also interested in this project and donated funds and his expertise to get the project started even before IWWA became involved. The IWWA funds provided wardens to protect the breeders. Additional habitats were made available to the ducks. A captive breeding program was started, and management personnel were trained to oversee the entire program. Tom Gullick, an English Ornithologist, was also vital to the project and Pedro Mollina, an employee of ICONA, the Director of Tablas Daniel provided important support. Most importantly the Spanish Government has taken control and responsibility for the program and they are providing the necessary financial support.